Abbey Green in Bath between 7th September and 1st October. This latest work aims to capture associations made with the human form as a contemplative presence and also to reveal subtle qualities of surface and shape, which suggest movement in stillness and a sense of quiet vitality. A strong source of inspiration for these works is a keen interest in contemporary dance and in particular the work of the esteemed German choreographer, the late Pina Bausch. I am dedicating this exhibition to the memory of our dear friend Ian Wilson, who died recently. Ian was a writer who championed the work of many artists and craftspeople for many years, in specialist art and craft publications. I first met Ian at The Bath Art Fair over twenty years ago, where I was exhibiting and selling my work. He bought one of my bowls and since that time a very close friendship developed between us and over the years he acquired several more pieces of my work. 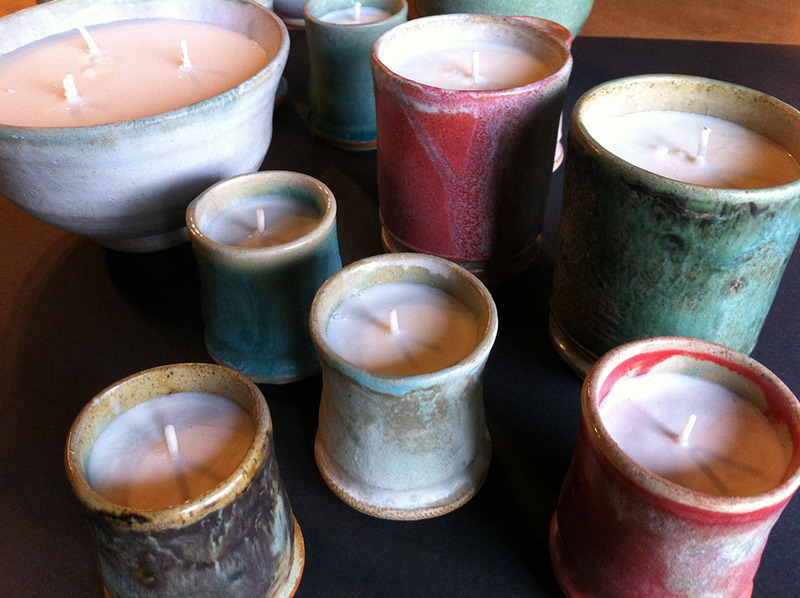 He had a particular interest in textiles and ceramics. When Ian was writing a piece about you, what he loved to do rather than a studio visit and a formal interview, was to invite you to a delicious lunch which he would prepare and serve, combined with conversation including his penetrating curiosity about details of your work. He would make hand-written notes and the conversation was always relaxed and would often meander in different directions about all sorts of subjects. These working lunches were great fun because Ian had a wonderful sense of humour, so it was never really like work, but purposeful and when the finished article finally appeared in print, his perspective on what you were aiming to do had the capacity to make you reflect on your practice. His keen eye for detail and objectivity was invaluable in helping to remove any trace of ego or self-consciousness which might otherwise ambush your own appraisal of the work in hand and often helped to germinate a fresh approach to new ideas for the future. When I first made some very tentative torso maquettes a couple of years ago, Ian was the first person to enthuse about their potential. His very generous spirit has been with me during the making of the work for this show. I miss him very much and will always treasure the memory of our times together. I was delighted to be one among many artists who were asked to donate a piece of their work for an auction to raise money in aid of the Save Bathampton Meadows Appeal. Viewing of submitted works was on 15th & 16th June and the auction took place at 7.30 that day at Green Park Brasserie. I submitted a painted stoneware wall piece titled ‘Sky Door 2’, which sold for £220. In total the sale raised £9,500. massively insensitive and mindless council decision to turn a historically treasured local area of natural beauty into a car park for 1300 cars. The recent election of Wera Hobhouse, Liberal Democrat MP for Bath, should bring some much needed sanity to the table in any future debate about the well being and future safety of the meadows. At one two five gallery, 4 Abbey Green, Bath. 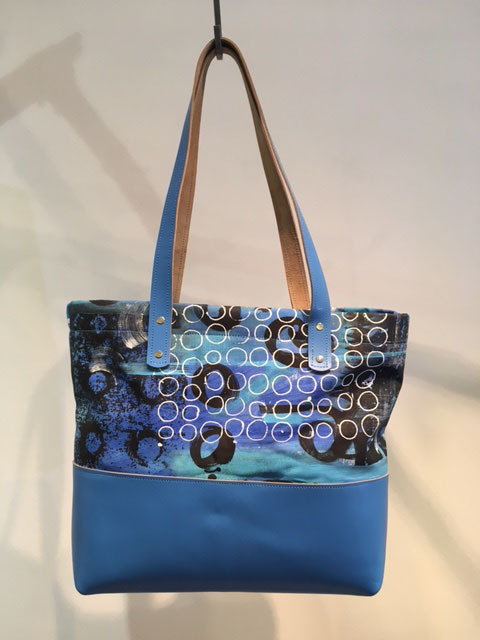 As artists, Carole Waller, and Gary Wood have always tried to find ways to collaborate with other artists working both inside our own media and also exploring where different mediums meet. 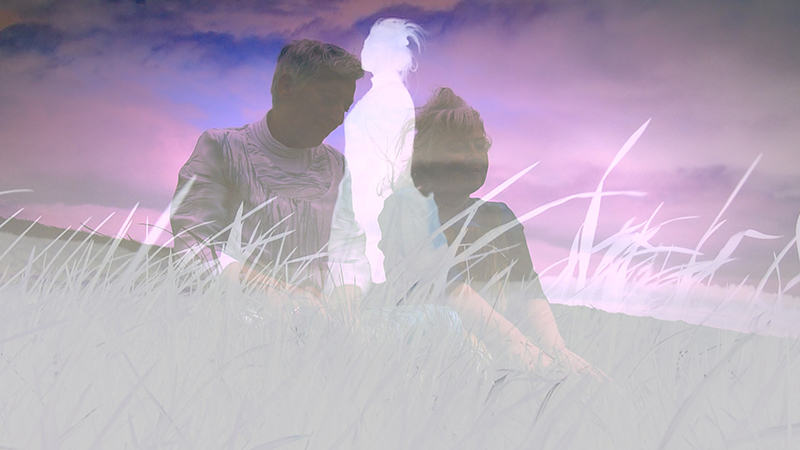 Our latest exploration into collaborative projects is Transfer 2, an immersive installation for The Bath Fringe Festival created by four artists: Gary Wood, Carole Waller, Fran Landsman and Will Renel. Transfer 2 is installed in the basement of One Two Five Gallery in Abbey Green in Bath. The same group of artists made ‘Transfer 1’ in 2016, incorporating film, light, sound, cloth, paint, clay, glass. Transfer 2 similarly explores ideas resulting in projections of images and light onto non-traditional supports and surfaces, interfaced with innovative soundscapes, generating unfamiliar, rich textures and surprising combinations and contrasts of light, colour, moving image and sound. This project explores contrast and conflict of identity, light and shade, figures in a landscape. 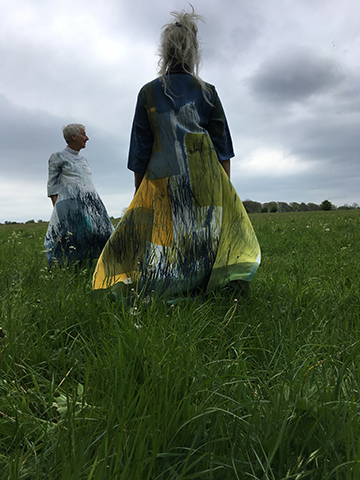 We filmed two figures in a landscape on Solsbury Hill just outside Bath where Beata Host and Annie Beardsley subjected themselves to the bitter wind wearing thin silk dresses that camouflaged and highlighted them amongst the grass and sky. Their serene archetypal human presence moves in and out of focus and they give little away. The film was then sent to Will in London for a response in sound. Gary has recorded various extracts from Walt Whitman’s epic poem Leaves of Grass, which forms an integral part of the soundscape and can be heard alongside Will’s evocative, rich and resonant textures. 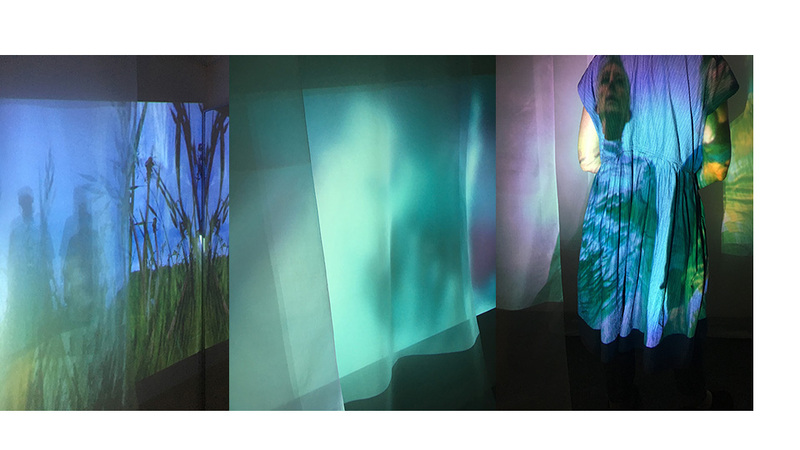 Fran, Carole and Gary will then bring elements of light, clay, cloth and the moving image into the basement to create an environment that will be compelling, abstract, contemplative and thought provoking. Will and Gary and Fran and Carole have worked together several times over the years on a variety of projects and Transfer One allowed all four of us to explore how our ideas and media might relate to each others in the very confined underground space at the gallery. 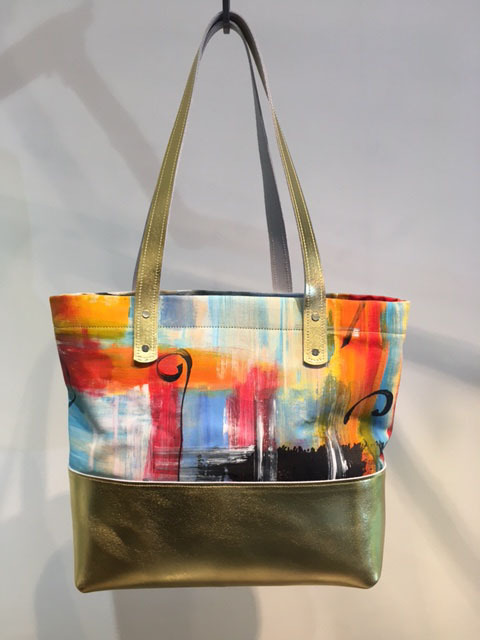 Gary Wood is a well-established ceramic artist who opened one two five gallery in Abbey Green with partner Carole Waller, whose area of expertise is creating one of-a-kind garments using her painted fabrics. “We love working with other artists and are excited about this collaboration which promises to be a sensory feast revealing how media combine to create new impressions and experiences”. Fran Landsman is an award-winning documentary filmmaker, and she has made several films for the BBC arts strand, Imagine. Will Renel was awarded an MA in music at Goldsmiths before starting his PhD in Inclusive Design at The Royal College of Art in collaboration with The Globe Theatre and Battersea Arts Centre. His research explores sound and social inclusion in public spaces and brings together deaf and disabled people to make work in response to their lives experiences of sound in public places. We invite you to visit us at the gallery and be enthralled by Transfer 2, during what is set to be another outstanding celebration of the arts here in Bath.